Anxiety, Depression & Candida Connection - YeastInfection.Org by Eric Bakker N.D.
Do you or someone in your friends or family circle suffer from anxiety or depression? In your search for information on these disorders, you may have come across articles that claim a link between these and candida. Is this really possible and is there any real scientific evidence to support this claim? Can the root of all of one’s health problems including mental health issues be just one organism – candida? It is difficult to know how much to believe of what you find on the internet – the information about the link between anxiety or depression and candida is sparse and there are not many articles on the internet that show any related scientific research. You just have the blog writer’s word on the said link. What we are going to do here is to look at if there is any scientific evidence at all regarding the proposed connection between mental health issues and candida. In case there is a possible link, we will consider what you can do to support your mental health along-side your psychologist/psychiatrist’s recommendations. I would like to say here at the very start that it is very important to remember that mental health is a serious issue which cannot be played around with. One other thing to bear in mind always is that mental health issues arise from a complex interplay of social, psychological and biological factors. Blaming it all on a single factor (any factor for that matter) is therefore naive. So, in all cases, do contact your psychiatrist/psychologist and take their advice. Let us start with understanding what actually is “mood” – what causes moods? This will help us understand the things that affect our mood and why do we get mood disorders like anxiety and depression. This will in turn help us discover and understand any link between candida and these disorders. If you suspect that you have anxiety or depression issues, this will also help you to know if you really could have the problem and to seek help from a professional in the field. The first statement is an emotion felt at a time when something has just happened – this is an acute emotion. The second one however is an emotion that is felt for a longer time and is not dependent on an immediate triggering factor – this is mood; in the second example above, I have been happy the whole day and nothing immediate triggered the happy mood. Researchers like Mendl and colleagues from UK have suggested that the “mood state” is an addition of “acute emotions” over time. So what is anxiety then? Let us, for example take someone who experiences a severe fright. This person has experienced “acute” fear. But if this fear stays on in this person’s life and activities despite the lack of the triggering factor, this fear has turned into “anxiety”. Anxiety is a state where we expect a negative thing to happen – in this state we easily disrupt our other activities like sleep or work and focus on possible dangers. We may also feel like we need to run away or avoid things that cause further anxiety. Anxiety is an uncomfortable feeling of fear, apprehension or dread that we often feel in the gut or the chest accompanied by a feeling that something bad is about to happen. There may also be physical symptoms like rapid heart-beat, sweating or shortness of breath. When this fear becomes very prolonged and severe, it has further turned into an “anxiety disorder”. A very prolonged state of anxiousness may turn into depression where we may feel hopeless and sad about the future, believing that no positive things could ever occur again. As counterintuitive as it may sound, a constant exposure to worry dulls us to worry – so in depression, there is little or no worry but we feel certain that we will feel negative emotions in the future. In the depressed state, there is a severe lack of energy or drive, lack of emotion along with slowed thinking and behavior, changes in appetite, headaches and sleeping problems. Anxiety and depression both are linked to a change in the body chemistry – especially the neurotransmitters, the chemical messengers that communicate information within the brain, and between the brain and other body parts. Research has showed that an increase or decrease in levels of certain neurotransmitters can lead to anxiety/depression. The table below compares the involvement of these in anxiety and depression. Anxiety and depression are also tied to our hormones – a change in the hormonal status can also affect the mood. This is because these hormones have an effect on neurotransmitters. The table below compares hormones involved in mood regulation. Serotonin Varying effects on mood which likely also depend on the sensitivity of a person to estrogen. (Note: although estrogen is claimed to have anti-depressive effects, high estrogen and estrogen therapy can worsen anxiety in some). GABA Decrease in progesterone levels leads to anxiety and insomnia by suppressing GABA receptor activation. Increase in progesterone causes decrease in serotonin, dopamine and norepinephrine leading to depression. GABA Testosterone seems to increase the number of serotonin receptors in the brain – more the receptors, higher the binding of serotonin and elevation of mood in both men and women. However, there are also reports that too much testosterone in women can lead to depression. Cortisol Serotonin Cortisol increases serotonin uptake by cells – which means that the effect of serotonin ends and serotonin goes in for recycling. The result is lower available levels of serotonin which can cause anxiety and depression. Lower than normal cortisol levels are caused due to being in a state of chronic stress – such low levels have also been in 2014 shown to be linked to bipolar depression. Thyroid hormones Serotonin Thyroid hormone levels affect the serotonin neurotransmission. Take home message from this information: What you can clearly notice from the two tables is that it is important to have normal and normally regulated levels of neurotransmitters and hormones to keep good mental health. Neither too much, nor too less of these is good!! Now what has this got to do with candida?? What we have talked about is brain and neuro-transmission. Candida infections of the brain or nervous system are very rare in people who have a decent immune system – while anxiety and depression are relatively quite common. So, of course we are not talking about candida infections of the brain. So, can then there at all be any link between candida and mental health?? Let us talk about a lesser known fact – that our gut is our second brain, that gut has a direct link to our brain where biochemical signaling takes place between the gut and the brain (called the gut-brain axis). We know that this location can indeed be occupied by candida. In this light, let us try and find if it is possible that candida overgrowth in the gut can lead us to depression or conversely, can depression cause candida overgrowth? The enteric nervous system (ENS) is a network of nerve cells that governs the function of our gut and has its own reflex activity (independent of brain) controlling the gut. You will be surprised to know that the ENS has 500 million nerve cells – which although is 1/10th the number of nerve cells in brain, is 5 times more nerve cells as compared to our spinal cord! As explained in a 2015 review by John Cryan’s group from Ireland, it has been scientifically clear for more than 150 years that the gut-brain interaction is bi-directional – surprising, isn’t it, considering how less we know about it? This bi-directional communication system between gut and brain is called the gut-brain axis. Recently added on to the gut-brain axis is the microbial flora, forming what is known as the microbiome-gut-brain axis where the gut-microbes and the gut-brain axis communicate with each other. Thus, not only is our second brain formed by the gut, our gut microflora is an important part of this second brain as well. What does our second brain do apart from digesting and absorbing the food that could cause mental health issues? 1) Information transfer: About 90% of fibers in the vagus nerve carry information from the gut to the brain and not the other way around. 2) Bioactive compound production: Rehfeld from Denmark described in 1998 how our gut has an extensive system of bioactive compound producing cells. Different cells release different biologically active compounds (hormones and neurotransmitters) like gastrin, secretin, and serotonin. It is a fact that more than 90% of body’s serotonin is made in the gut. In 2015, O’Mahony and colleagues from Ireland presented ample evidence that dopamine, serotonin and other molecules that affect our mental state are generated by the gut microbes. 3) Serotonin production regulation by gut microbes: In 2015, Hsiao and colleagues in USA did a study on germ-free mice – mice that are born and raised in sterile environment and do not have any microbial normal flora. These mice produced 60% less serotonin than the mice with regular microflora. When the guts of these germ-free mice were recolonized with normal gut microbes, the serotonin levels went up to normal levels. Thus, microbial flora of the gut seems to control the levels of serotonin produced in the gut. 4) Gut microbes by themselves regulate mood and behavior: Bercik and colleagues from Canada, in 2011, found in their study with mice that the gut microbes influence the brain chemistry and behavior. The typically shy mice, when given a cocktail of antibiotics, had changes in their gut microflora and became bold and adventurous. The researchers then experimented on two types mice – one that are typically timid and shy (BALB/c), and one that are typically bold and adventurous (NIH swiss mice). They got the germ-free BALB/c and NIH swiss mice and colonized each of them with normal gut microbes from the other mice – so germ-free BALB/c mice got microbes from normal NIH swiss mice, and germ-free NIH swiss mice got microbes from normal BALB/c mice. They found that the BALB/c mice became bold and adventurous while the NIH swiss mice became timid and shy. There was no change in the levels of neurotransmitters in the gut, nor was there any inflammation. They concluded that mental health issues in patients with bowel disorders might be due to intestinal dysbiosis. 5) Gut microbes produce GABA related changes in the brain: A 2011 study by Bravo and colleagues from Ireland showed that when mice were regularly given a Lactobacillus rhamnosus strain in food, it reduced stress-induced corticosterone and behavior related to anxiety and depression. The researchers also found that such a diet induced changes in the brain related to GABA and such changes were brought about by neurotransmission from the gut to the brain via the vagus nerve.Lactobacilli are known to produce a large amount of GABA by themselves. For example, a Korean study by Park and colleagues, published in 2014, found a strain of Lactobacillus plantarum from kimchi that could produce large amounts of GABA. Any imbalance in the gut microbes is therefore likely to push the GABA levels out of balance and cause anxiety or depression. 6) Gut microbes seem to regulate the blood-brain barrier permeability: Blood-brain barrier permeability influences which molecules are allowed into the brain and which are not. Research work on mice by a collaborative group of researchers from Sweden, Singapore and USA led by Brainste in 2014 showed that germ-free mice have an abnormal blood-brain barrier permeability that allowed lot more molecules to pass through as compared to normal. When these mice were given normal gut microbes, it brought the blood brain barrier permeability closer to normal. Although the mechanism by which this happens is not yet clear, it is possible that microbial flora imbalance allows certain toxic molecules to pass through to the brain which could lead to mental health issues. Jiang and colleagues from China published a study in 2015 that showed a remarkable change in the gut microbiota of patients suffering from depression. They found an increase in the population of type of bacteria known as bacteroidetes, proteobacteria and actinobacteria and a significant decrease in the population of firmicutes in depressed patients. As we have seen above, gut microbes seem to regulate the permeability of the gut. A leaky gut is thought to have link with depression as discussed in a 2015 review by Kelly and colleagues from Ireland. On the other hand,bacteria like lactobacilli and bifidobacteria as probiotics have been shown to play a role in reducing gut permeability as shown by Japanese research by Tsuneda group and a French study by Laval and colleagues respectively in 2015. Indirect antibiotic intake through food: antibiotics are used in animal farming and the dairy, meat and poultry from such farming contain antibiotics. Poor nutrition which leads to deficiency of minerals and vitamins, which in turn leads to a compromised immune system which can cause bad bacteria and fungi to overgrow. We still have not talked anything about candida, you might wonder. Let us now jump into the discussion about candida and mental health in terms of anxiety and depression. a) Candida can use GABA as carbon and nitrogen source: A microbiological study from 1997 by Indian scientists Kumar and Punekar showed that fungi use GABA as carbon and nitrogen source. Degradation of GABA has been studied in the yeast Saccharomyces. The Candida Genome Database says that GABA degradation pathway is likely to occur in Candida albicans as well. On the other hand, a study published in 2012 by Reyes-Garcia and colleagues from Mexico presented results which showed that GABA actually promotes the growth of Candida albicans – this goes to say that candida is indeed able to utilize GABA as a source of nutrition. If this is true, then candida overgrowth can very possibly deplete your GABA levels which could lead to anxiety and depression. b) Candida is likely inhibited by serotonin: Research work by Mayr and colleagues from Austria showed in 2005 that an exposure of candida to serotonin actually affects the growth of candida which may reduce the pathogenicity of candida. Although this study was done on candida cells in test tubes, it is possible that this also occurs inside our bodies. What this could mean is that normal levels of serotonin keep candida infection at bay and a drop in serotonin would allow candida to overgrow – this argument points to candida overgrowth being caused by anxiety/depression. However, it remains to be seen whether this is actually true and if the levels of serotonin normally produced by us are sufficient to protect us from candida overgrowth. c) Candida and hormonal imbalance: Hormonal imbalance is linked to both neurotransmitter imbalance (described in this article) and to candida overgrowth (imbalance in hormones causes candida overgrowth). Thus, it would mean that if you have hormonal imbalance, you could simultaneously cause neurotransmitter imbalance and candida overgrowth. This again points to the possibility that candida overgrowth and anxiety/depression may occur together. d) Candida- acetaldehyde-serotonin link: There is evidence that candida can produce acetaldehyde from sugar and ethanol. So, if you have candida overgrowth, there will be more acetaldehyde in your system than normal. Acetaldehyde binds vitamin B1, B6 and B9 and makes them unavailable for their function, leading to their deficiency. B Vitamins are involved in synthesis of neurotransmitters like serotonin and a deficiency in these vitamins will lead to a deficiency in neurotransmitters which could possibly lead to anxiety and depression. There is no direct scientific evidence that says candida can cause anxiety or depression. However, it is clear that if you have a disturbed gut microflora, you can go down the path of anxiety or depression. If you have a disturbed gut microflora, you are also more likely to have candida overgrowth. 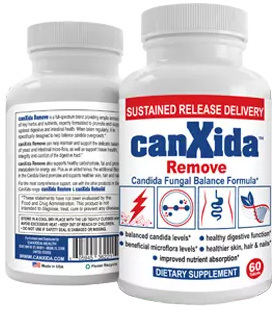 Candida may not be the “direct” cause of depression and anxiety, however, if you do have anxiety or depression issues and also have a bad gut microbial balance it is more than likely that you also have candida overgrowth. What this means is that to get your mood back to normal, you will have to get rid of the bad bacteria AND candida and restore your microflora balance. Restoring your normal gut microflora is usually a difficult task – a simple intake of probiotics or prebiotics does not necessarily restore the balance because there are many other factors involved – lifestyle, diet, exercise, etc. Added to this is the task of getting rid of candida if it has established itself in the gut. So this requires a much more holistic approach – a simple pill is not going to suffice. This being said, it is important to know if the cause of your mood/mental health issues really is due to your gut or something else. As mentioned earlier, your mental health is determined by a complex interplay of social, psychological and biological factors. What we have considered in this article is only one-third of these – the biological factors. It is wise to consider your social and psychological environment as well and how that is affecting your mental health. After-all, gut-brain axis is not a one way street. Brain also controls what happens in the gut. It also has an impact on your gut microflora. It may therefore be important to consider different types of psychotherapies like cognitive behavioral therapy and relaxation therapy in addition to trying to restore the gut microflora through diet and lifestyle changes. If you are already on anti-depression medication, it is important that you do not suddenly stop these. Consult your psychiatrist to include a gut-flora restoration regimen through diet, supplements, exercise and psychotherapy. If you are taking anti-depressants, make sure to consult your psychiatrist before taking any supplements as there can be unwarranted interactions between the supplements and your anti-depressant which may harm you. Remember, you are the one who can make yourself well – with strong will to restore your biology and through seeking good social and psychological support you can beat your anxiety or depression.